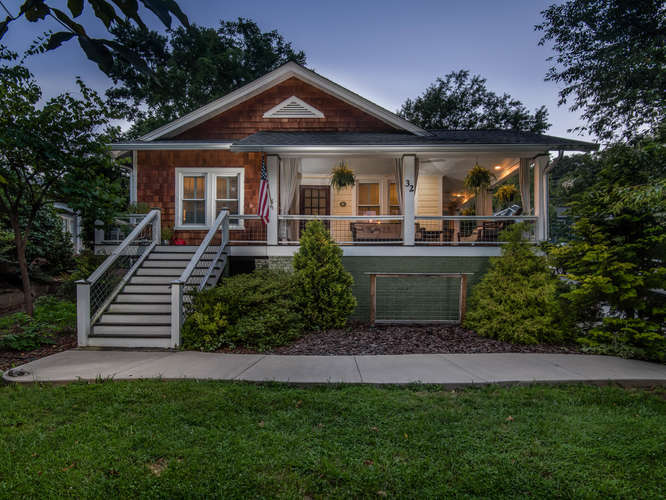 Check out this cool, convenient and charming bungalow with mountain views walkable to many North Asheville amenities or UNCA. 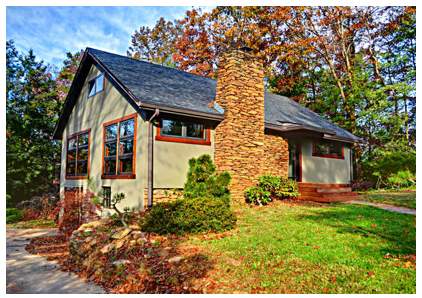 This sweet home flows from the kitchen, dining to interior living room before opening to the outside taking full advantage of our mountain seasons and indoor/outdoor lifestyle. Watch the sunrise over Sunset mountain from your wrap-around front porch or end the day entertaining around your conversation fire pit. Cool updated kitchen and bathroom highlight this home. Also, a newer roof and tankless water heater make this home ready to go. Various off street parking options off either Larchmont near carriage style storage or shared drive to 1 car tandem garage. Want to see more? Kindly visit here. Or call for a personal tour. Cheers! 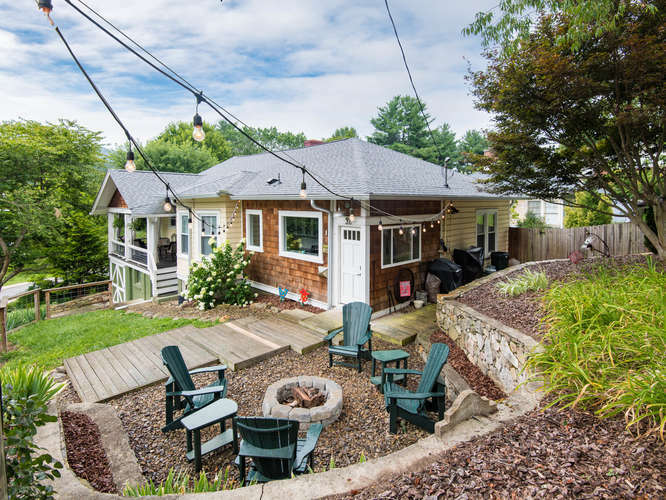 Today, we are pleased to bring you this cool, convenient and charming bungalow with mountain views walkable to many North Asheville amenities or UNCA. This sweet home flows from the kitchen, dining to interior living room before opening to the outside taking full advantage of our mountain seasons and indoor/outdoor lifestyle. Watch the sunrise over Sunset mountain from your wrap-around front porch or end the day entertaining around your conversation fire pit. 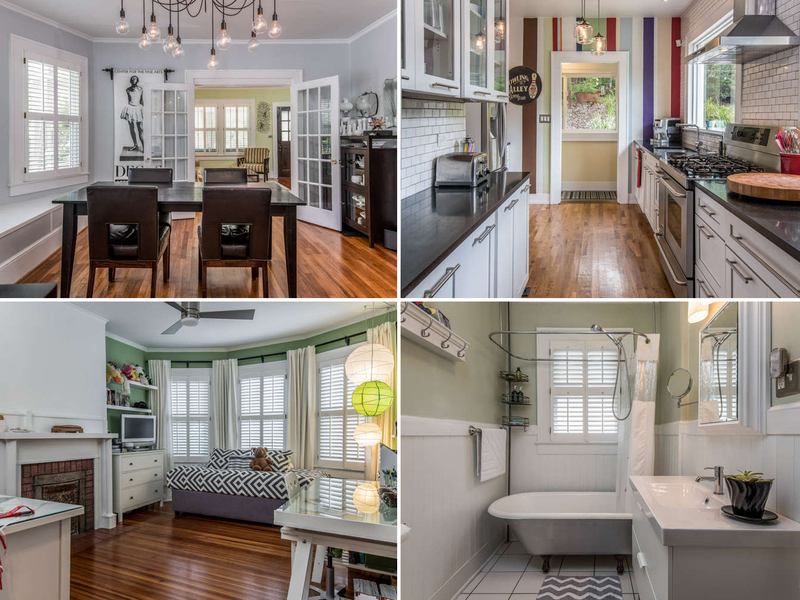 Cool updated kitchen and bathroom highlight this home. Also, a newer roof and tankless water heater make this home ready to go. Various off street parking off either Larchmont near carriage style storage or shared drive to 1 car tandem garage. Want to see more? Kindly visit here. Or call Kelly and Troy for a personal tour. Cheers! At $325,000 this quality, vintage bungalow on a .28 acre lot could be yours. 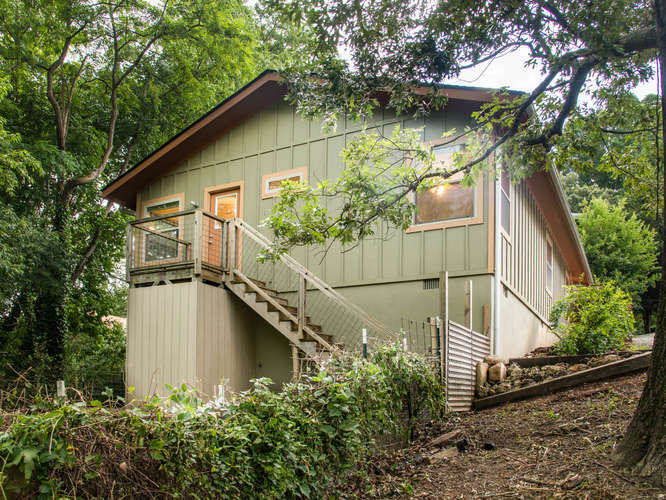 For only $399,000 you can add in two adjacent lots for your long-term investment future by preserving the land or build your own little oasis for rental income or with your friends and family. There are great options here! 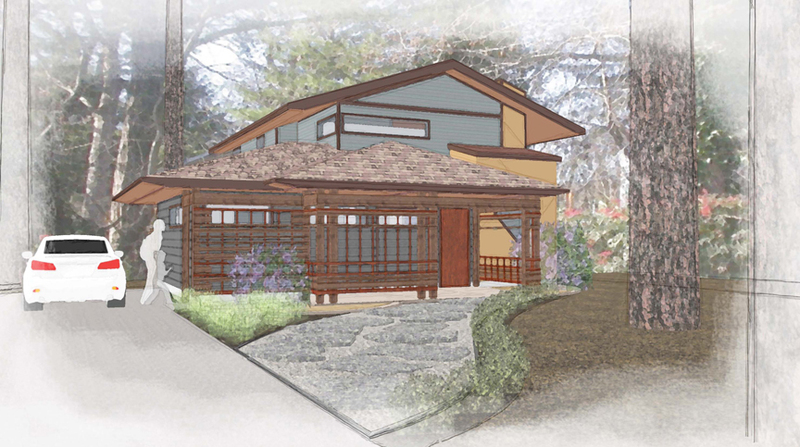 With regards to the home we love the charm of a vintage home mindfully blended with modern, urban detailing. 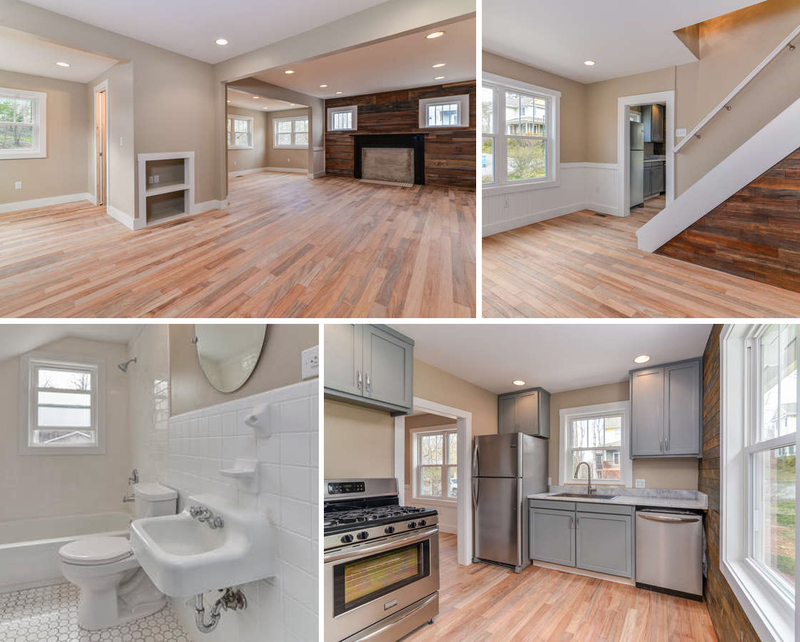 This light and bright, bungalow is ready to go with all new plumbing, electrical, heating & air. The 3 bedroom, 2.5 bath, 1687 sqft home, also, has a new roof, windows and doors to keep the home air and water tight for years to come. For efficient cooking the kitchen has custom cabinets, marble counters, large stainless sink and all new stainless appliances. New wood flooring and accent lighting through the lower level make the home bright and cheerful for today’s living. 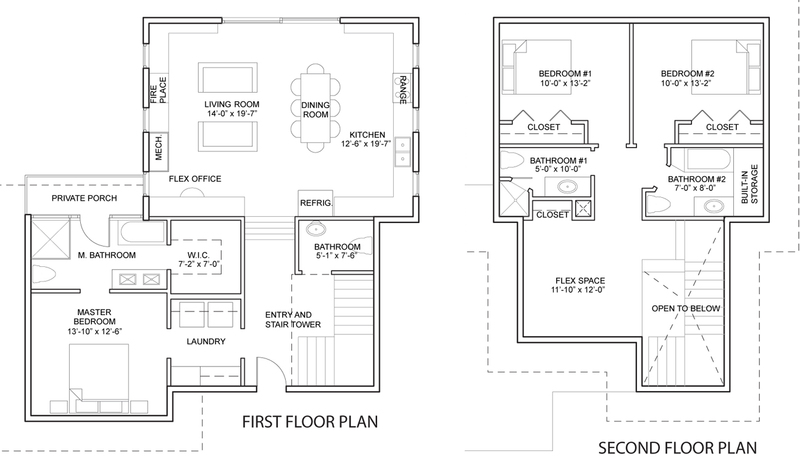 The main level has the master bedroom suite and laundry area. Easy! 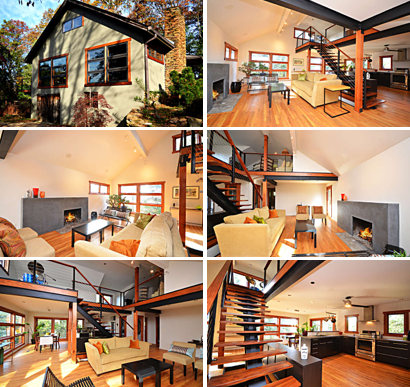 Here is a cool remodel in one of my favorite west Asheville neighborhoods. The three of us will be touring it this week, but in the meantime check out the virtual tour. Give us a call for more information or a private tour of this home. $378,000 3/4 Bedrooms 3.5 baths 2150 sq/ft. The Bellwether Design/Build team of Katie and Brad Rice continue to bring a fresh approach to homes in Montford with this new contemporary twist on a traditional Bungalow. The efficient size of this concept is packed with storage solutions, creative space-sharing options and is laid out to feel spacious yet intimate. A low maintenance exterior lets homeowners spend time on more important things, like playing in one of the many nearby parks or walking downtown for dinner. Special features include: green built, low maintenance materials, master on main, private garden off master, open living space, vaulted ceilings, fireplace, gas cook top and large front porch. If you buy this now you can help in developing your own details.